ATLANTA —Jan. 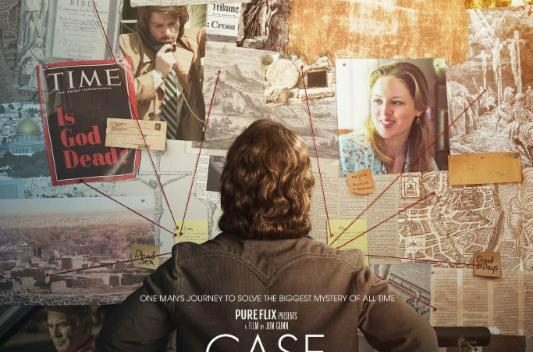 11, 2017— THE CASE FOR CHRIST, based on Lee Strobel’s best-selling book about his own journey as an award-winning investigative journalist and resolute atheist who sets out to disprove Christianity, comes to life in its big screen debut. The film draws on the true story of Lee and Leslie Strobel, whose marriage struggled mightily as her growing faith collided with his determined atheism. The dramatic retelling of their journey offers heart and a human touch on the in-depth research Lee Strobel conducted. THE CASE FOR CHRIST is a moving story that will inspire everyone who sees it: believers, those who are searching for answers, and even those who are where Lee Strobel once was.From Pure Flix and Triple Horse Studios, THE CASE FOR CHRIST stars Mike Vogel (THE HELP), Erika Christensen (Parenthood), Academy Award® winner Faye Dunaway (BONNIE AND CLYDE, CHINATOWN), Academy Award® nominee Robert Forster (JACKIE BROWN), L. Scott Caldwell (Lost) and Frankie Faison (The Wire). Jonathan M. Gunn (DO YOU BELIEVE?) directs THE CASE FOR CHRIST, written by Brian Bird, (When Calls the Heart, Touched by An Angel) and based on Strobel’s book, published by Zondervan, part of HarperCollins Christian Publishing. to defend their views. Contrary to his intent, Strobel’s investigative efforts convinced him of Christianity’s reliability. The book became a worldwide best-seller and launched Strobel in a new direction – defending Christianity himself. 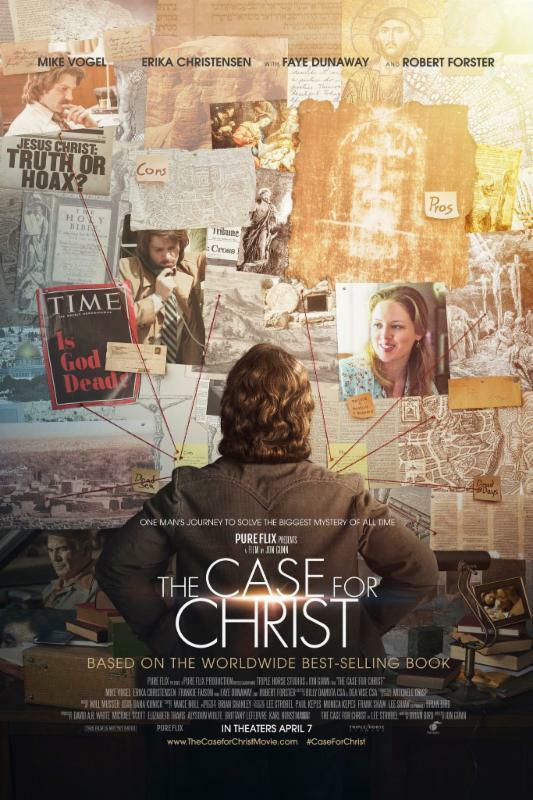 THE CASE FOR CHRIST is distributed by Pure Flix and produced by Michael Scott, David A.R. White, Karl Horstmann and Brittany Lefebvre, and is set to release theatrically in the spring of 2017.